IO Interactive, Square Enix, and the bromantic Kane and Lynch have brought us the box art for the summer release, Kane and Lynch 2. Though it is only the box art, it seems that more assets are starting to appear for this title which means we should soon start to see more trailers and gameplay video to whet your whistle. 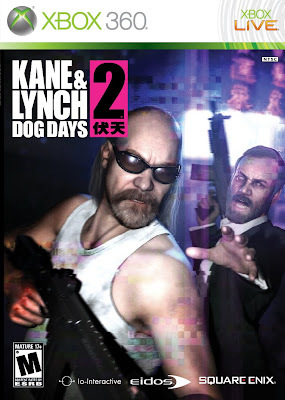 This title puts player in Shanghai through 48 hours of hell as seen through the view of that misdirected Lynch, while he and Kane are against the entire city. Kane and Lynch 2 is scheduled to release late this Summer for the Xbox 360, PC, and PlayStation 3 and is said to leave a trail of bodies, bullet shells, and illegitimate children in its wake, so um, enjoy?